If your perfect prom hairstyle must combine the latest trends with casual elegance, take a look at these gorgeous ‘stand-out’ styles! Making the right impression can mean just jazzing-up your look with a trendy ash-toner for blondes, or a rich, purple color-wash for brunettes. Of course, you may prefer to ‘knock ’em dead’ with a queenly up-style or an ‘in your face’ fat, white braid on dark hair. If you just want to look cool, there are plenty of messy chignons. 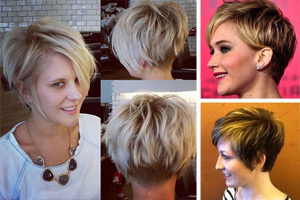 And for short – mid-length hair, you must see the clever, tousled faux-chignons! Whatever’s your favorite style, you’ll find fab new colors and inspiring prom hairstyles right here! 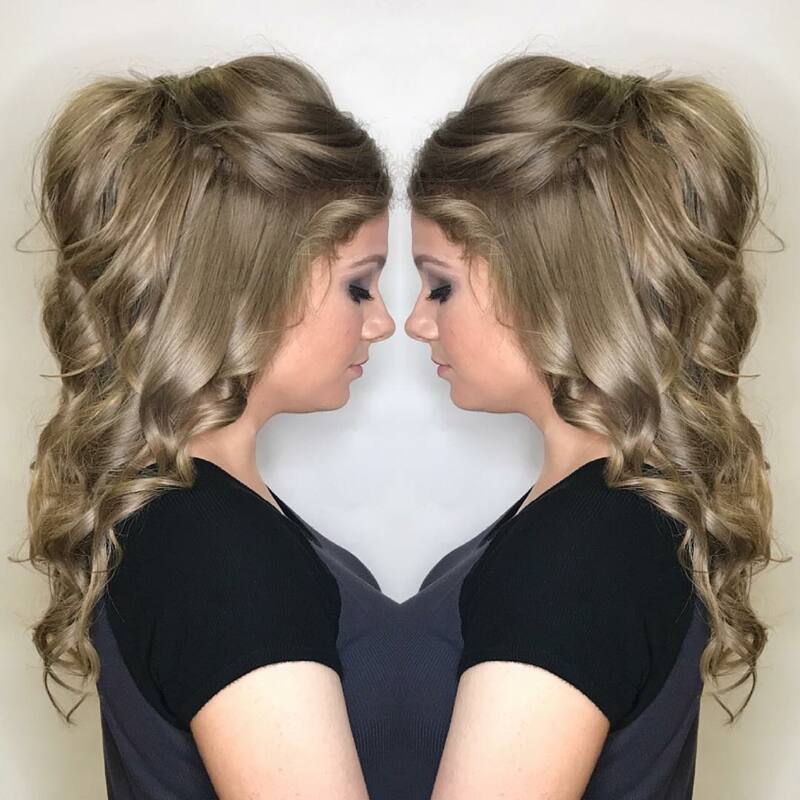 This youthful half-up hairdo brings together one of the latest natural ash colors, with loosely arranged ringlets, for a perfect party look! There’s sophistication in the added height along the top and teased volume around the crown. But the lightly tousled finish means you won’t look like you’ve tried too hard to impress! Long and shiny hair is unbeatable! 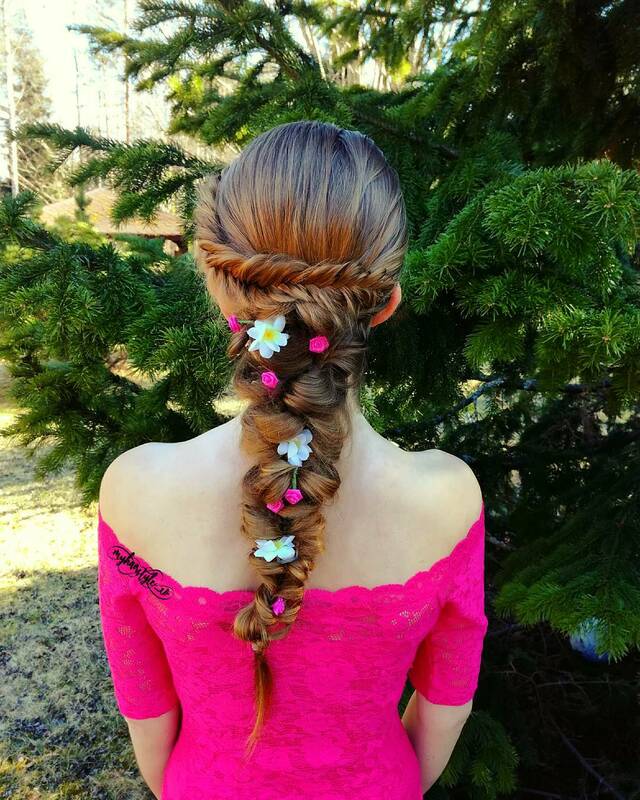 Here’s a very new braid hair design which has several attractive features to make it perfect for a prom or other special event. 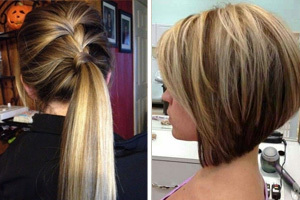 The hair color is natural mid-brown with sun-lightened surface layers adding light and shade patterns. You can see this in the lovely asymmetry of the twist detail and the expertly braided back with trendy pulled-out links set-off with dainty flowers! 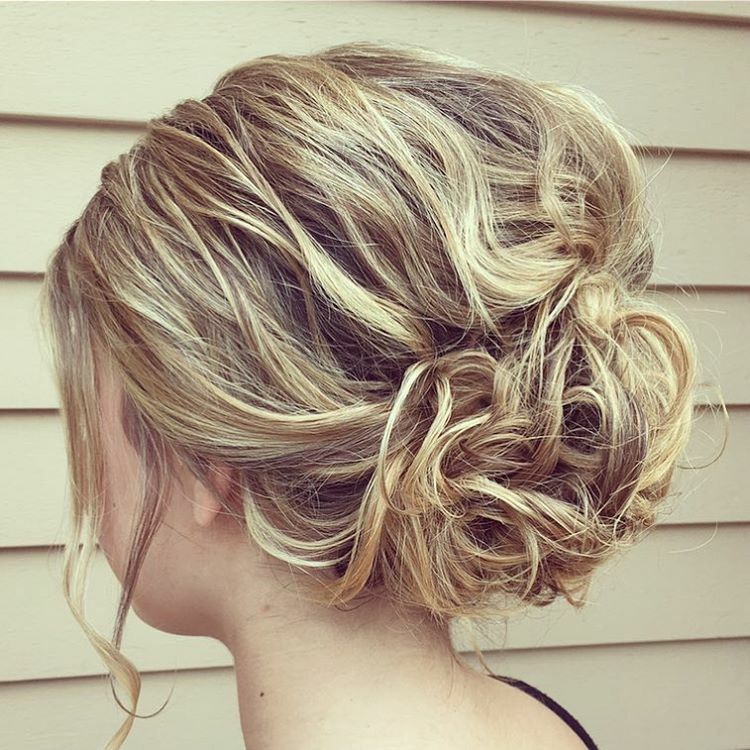 To look suitably ‘cool’ at your prom, try this lovely tousled faux-chignon! The blonde highlighting over mid-brown roots really shows-off the texture you get by using fingers to arrange the top and sides. 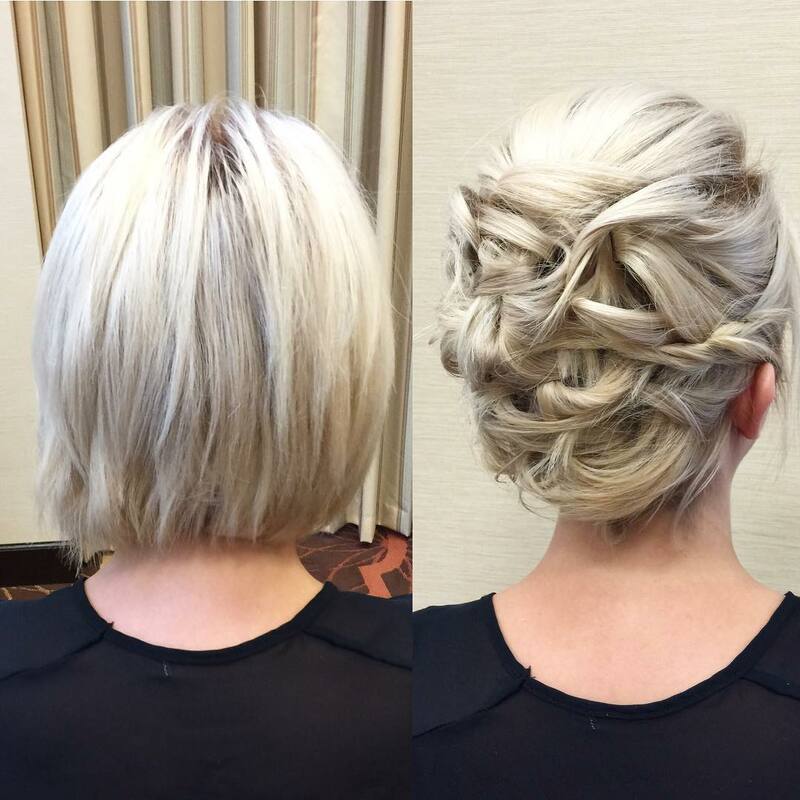 The cleverly styled faux-chignon is a fabulous trick for getting relaxed elegance on mid-length hair. And fine hair or medium hair gains density from a tousled dual color prom hairstyle! If you’re going all-out for a trendy and sophisticated prom look, this is a serious contender. 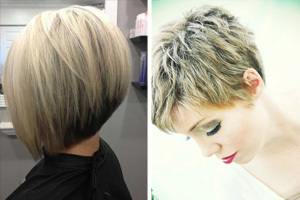 The color design mingles 4 main shades to enliven the dark-blonde base. Palest beige-blonde frames the face to draw attention to the eyes. 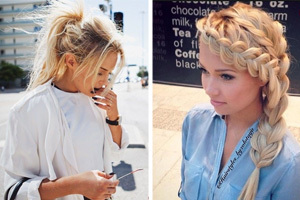 And soft shades of pearly-beige and golden blonde create fantastic patterns in the high-fashion braids. Spiky tips are artfully pulled-down to create a touch of edge. 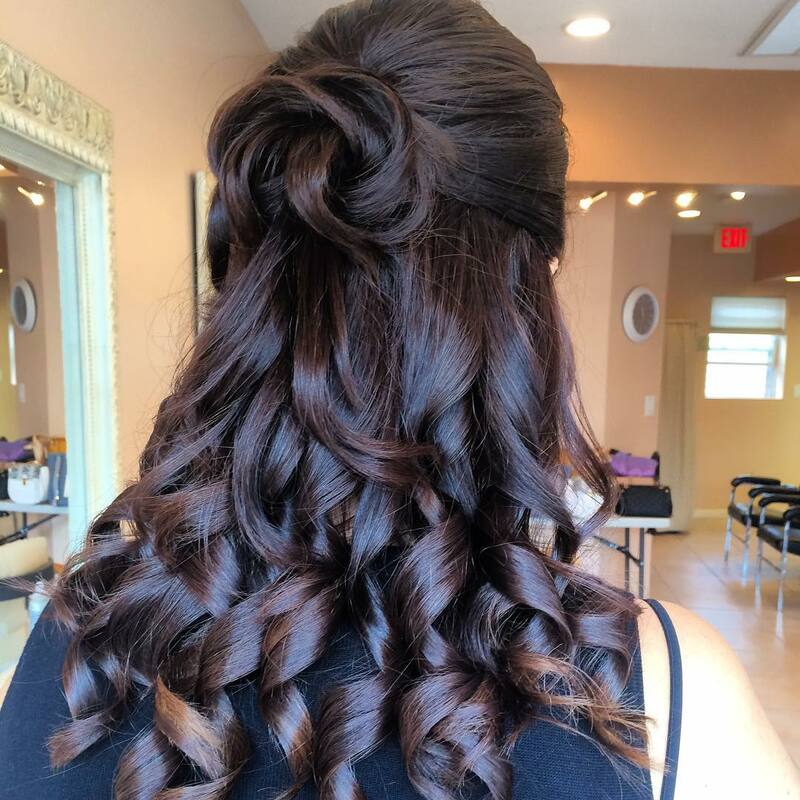 Here’s a party style that’s so different from the day-to-day haircut it’s bound to draw gasps of admiration at your prom! The base is a blend of cool and warm light-blonde colors over darker roots, which add lots of color depth in the fashionable twists pinned casually from crown to nape. 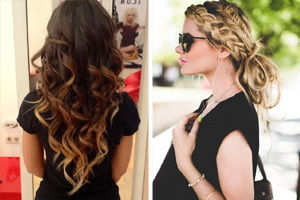 This trendy look is also easy to copy at home or do on a friend’s hair! This classy look brightens up brown hair enormously with a lively swirl of tousled curls adorning the crown and framing the face. 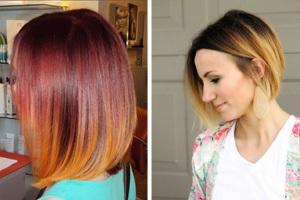 The flat brown base looks gorgeous with mid-golden-brown balayage and carefully applied golden-blonde ombré. This style suits medium or thick hair and blends different textures, shapes and shades in a queenly evening look! 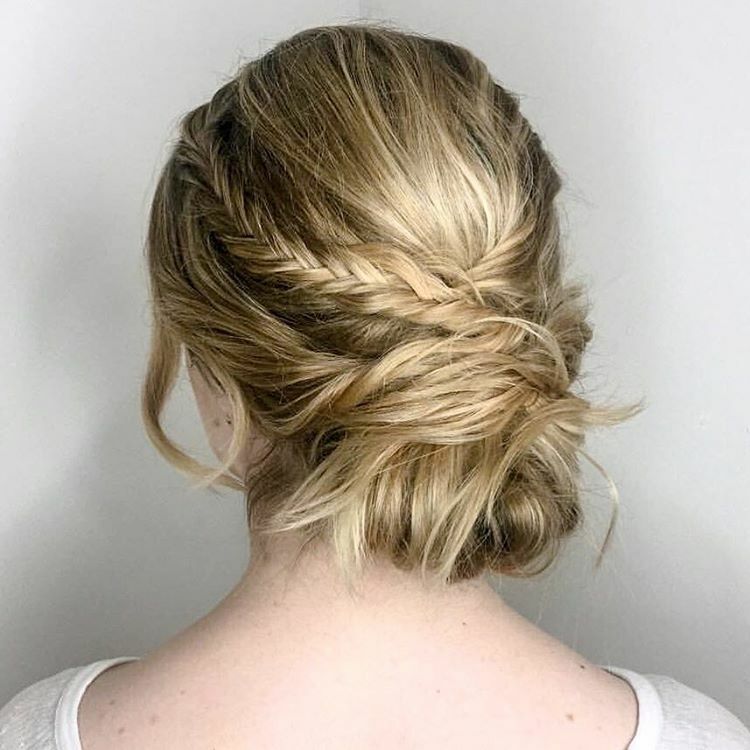 If you prefer not to look ‘over-styled’ for your prom, this is a super chignon you can do at home without spending a fortune at the beauty salon. 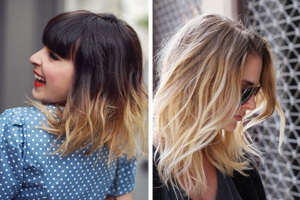 The ‘look’ is a highly fashionable mix of casual styling on a trendy cool blonde color over darker roots. 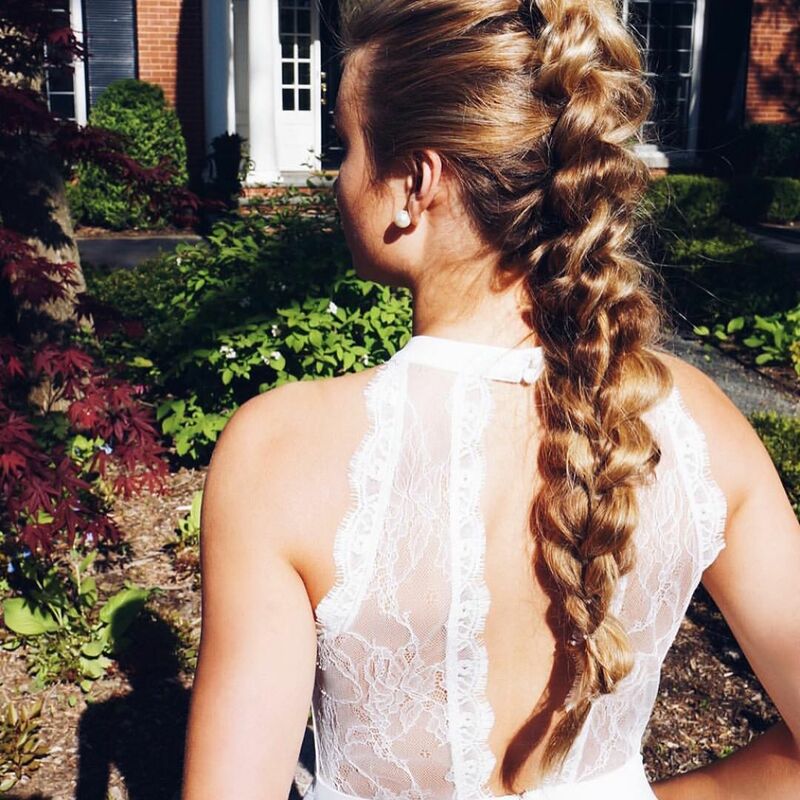 With asymmetry in the cute head braid and loose strands framing the face, this messy prom hairdo is effortless elegance for sure! If you want a style that’s elegant and modern, without being too ‘old’ for a teen, consider adding a knock-out color. This model’s brunette hair gleams with a temporary deep-purple, color-wash that’s rich and eye-catching. In long ringlets under a cute swirl at the back, you can see tons of color depth and reflected light from shiny, healthy hair. Very long hair is not always comfortable in an up-style that’s just too heavy and hot for a dinner-dance. But this pulled out braid with loads of color depth and texture is a great way to project natural glamor! The gorgeous, natural golden tones in this model’s hair accentuate a textured, party look that’ll keep her feeling cool all evening! And if you prefer the edginess of trendy, unnatural glamor here’s another great prom hairstyle! The contrast between brunette and high-fashion, dual ombré in gray- and ash-blonde ombré is a real show-stopper! The dark roots have fine, ash-blonde streaks and a gorgeously patterned side-braid, pulling together this amazing, edgy ash-blonde braid!